The Historic Hawkwood house stands alone in the prestigious West Boulder River Valley as an artistic renovation of the valley’s most historic structure. This finely appointed 2,457± square foot, three bedroom‐suite cabin is as stately as its pristine surroundings. 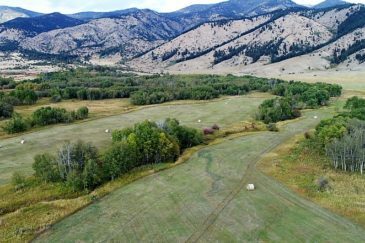 Surrounded by the West Boulder Reserve, a 1300± acre ranch community with 2.5 miles of both sides of the West Boulder River and 900± acres of common land. Hawkwood is surrounded by but not a member of the West Boulder Reserve. Located within easy reach of Bozeman, Livingston and the quaint town of Big Timber, MT. A touch of historic elegance awaits the discriminating adventurer. 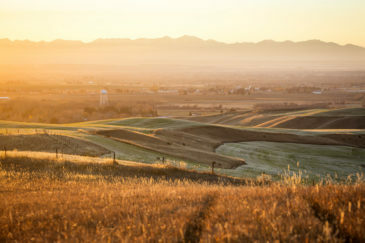 The property is located adjacent to another listing of Fay Ranches’ called the West Boulder Angling Retreat, https://fayranches.com/property/west-boulder-angling-retreat/. These two properties would fit well together if a buyer is looking for a main house and guest house. Included in this brochure are maps indicating the proximity of the two properties to each other. Within some of the country’s most breathtaking scenery lies a river valley without equal. The West Boulder Angling Retreat is a once-in-a-lifetime opportunity to experience one of the West’s most beautiful settings. A rare opportunity to own the H & J Quarters Farm which has been tightly held by one family for over 100 years. The farm sits with the backdrop of the breathtaking Rocky Mountain Front in the distance and in a region valued for its consistent high quality grain production. The deep rooted farm was carefully pieced together with additional parcels added to amass the almost 5,500 acre farm that is offered for sale. This property is in an excellent location with close proximity to all the recreational opportunities that southwest Montana offers. The Bridger Mountains, Ross Peak and the views to the west overlooking the Gallatin Valley are incredible. Additionally, both sides of Bullrun Creek meanders through the property, adding a wonderful dimension by providing excellent wildlife habitat and the added enjoyment and aesthetic of moving water. 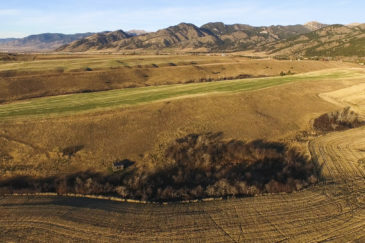 This property offers a unique opportunity for a savvy buyer to enjoy an investment or continue to enjoy the property for its agricultural benefits in a location convenient to the many area events and the multiple and varied recreational opportunities that the Montana lifestyle embraces. The Engwis Ranch is a world class offering on one of the world’s greatest fly fishing rivers, and one of the best located and well managed ranches in the west. The stewardship this ranch has received is nothing short of magnificent. With endless recreational amenities and a productive agricultural operation, this ranch has it all. This property is a beautiful 735± acre ranch that has been in the same family operation since the early 1940’s. The Bridger Mountains provide a stunning melodic backdrop with 360-degree views of the entire Gallatin Valley. Located just 5± miles north of Bozeman, this property offers endless possibilities to the new owner. This is one of those rare properties that combines fine architecture, wildlife, agriculture, and aquatic features creating a setting like none other. An amazing 3,800± square foot modern masterpiece is surrounded by four spring fed ponds and Big Timber Creek. 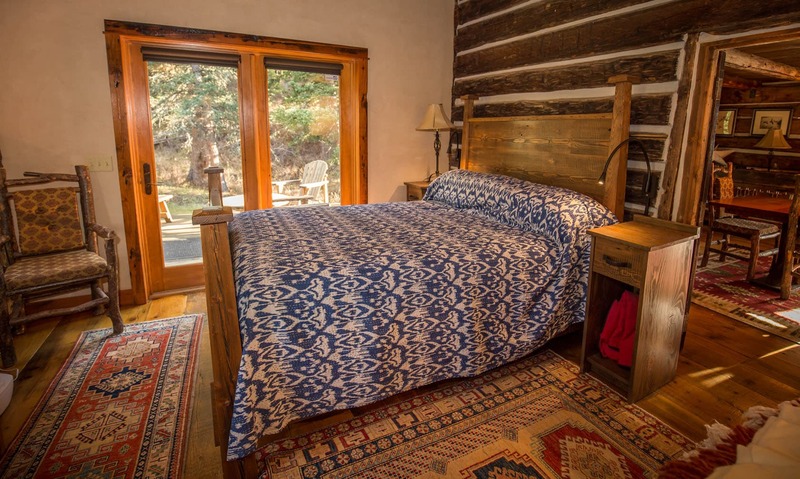 The property also enjoys stunning views of the snow-capped peaks of the Crazy Mountains to the west and the Absarokee Mountains to the south. Positioned at the base of the Bridger Mountains, the property sprawls from the forest covered hills and contiguous forest service lands down to lush, productive meadows with mountain streams laden with aspen groves. Numerous building pockets are perfectly positioned to take in the mountains above or the valley below. Wildlife abounds with an elk herd that frequents this ranch along with whitetail, mule deer, pheasant, turkey as well as a variety of other alpine inhabitants. With amazing views of the Absarokee/Beartooth Mountains to the east and Chimney Rock and the Gallatin Mountains to the south – the serenity and privacy radiates throughout the property. Rolling grass hills and pastures give way to aspen and willow lined draws which lead up to timber covered mountains. The Mountain Views Ranch on the Yellowstone River is a world class offering on one of the world’s greatest fly fishing rivers, and one of the best located and well managed ranches in the west. The stewardship this ranch has received is nothing short of magnificent. With endless recreational amenities and a productive agricultural operation, this ranch has it all. Ski-In/Ski-Out at its best! Awe-inspiring views make this slope-side mountain chalet the perfect backdrop for all your adventures. 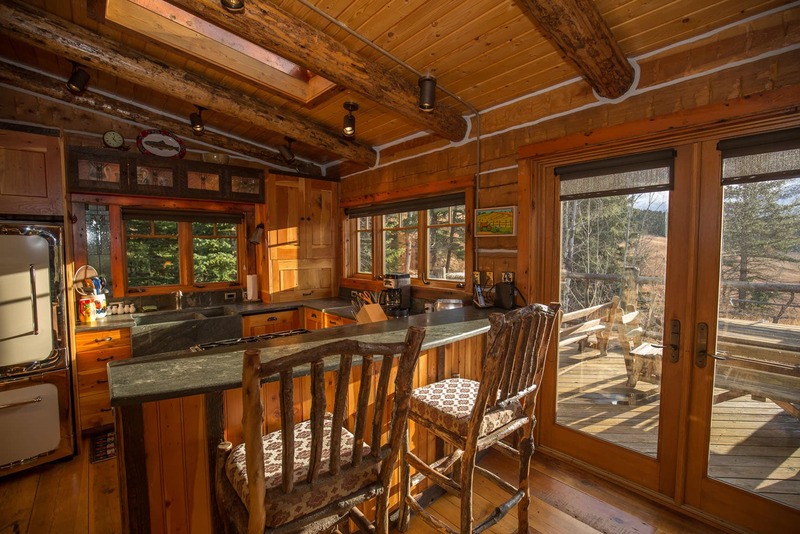 If you want the finest luxury home and vacation experience possible in Big Sky/Moonlight Basin, Diamond Hitch Ski Chalet is your clear choice. The Wild Horse Mountain Ranch would make a great property for a recreational retreat or possibly a year-round residence and the land has conservation easement potential. The unencumbered ranch resides along the coveted Rocky Mountain Front and Teton Canyon River Valley which boasts landscapes that inspired America’s greatest artists and authors alike. Private and incredibly historic, the ranch sits just south of spectacular Glacier National Park. A masterpiece of nature, the ranch cascades from the top of the magnificent Rocky Mountain Front towards the expansive grasslands to the east. The converging habitats support one of the most diverse concentrations of wildlife found in the Rocky Mountain west. This scenic ranch located along the tailwater stretch of the Ruby River offers incredible fishing, a productive agricultural operation and a blank canvas to build your dream home. The ranch is one of the few remaining properties on the Ruby River that does not have an existing conservation easement. Nowhere in Southwest Montana will you find the privacy, views and solace inherent of this offering. Along with being one of the finest elk properties in southwest Montana and giving solid consideration to agriculture, this property offers something for buyers of all criteria. Located in beautiful Bozeman, Montana in the shadow of the Bridger Mountains overlooking the Gallatin Valley and all of Bozeman, Valley Views at Bridger Shadows Farm commands an eagle’s perch of the surrounding landscape. An outstanding sporting property with terrific conservation easement potential, this is a desirable property fit for many. The property includes a 100± acre pivot, lush sub-irrigated hay fields, two large ponds, and potential to develop more aquatic resource into productive wetlands or potentially fish ponds. The property is also home to pheasants and whitetail deer. This is an absolutely gorgeous piece of ground with some of the most dramatic views in the valley. It is not often that a ranch of this quality comes on the market. 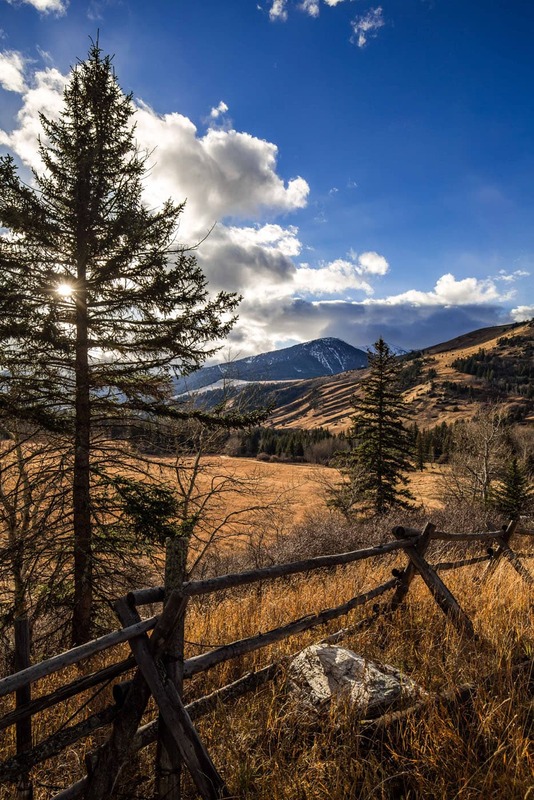 The Yellowstone basin has, for many years, been the most sought after location for recreational ranches in Montana because of the abundant wildlife and fishery resources as well as some of the most dramatic scenery in the Northern Rockies. Offering some of the finest wildlife viewing and elk and Big Game Hunting opportunities in Montana. With excellent water sources, abundant wildlife populations and deeded land presented in a blocked-up configuration, the Silver Creek Elk Preserve Ranch is a prime candidate for a conservation easement, which if implemented would provide enormous tax benefits to the buyer. A remote and tranquil setting, yet within close proximity to some of the best fly fishing waters in the country. Consistently inhabited by good numbers of elk, deer, antelope and moose, which translates to excellent big game hunting on the property. There are spectacular views of the Flint Range and the offering is a prime example of a classic mountain ranch. This property is a stunning 240± acres that encompasses some the Gallatin Valley’s most picturesque land. Numerous building pockets are perfectly sited to take in the mountains above or the valley below. The Bridger Mountains provide a stunning melodic backdrop with 360-degree views of the entire Gallatin Valley.